Do you struggle with headaches and live in the Maroochydore area? We would like to help. 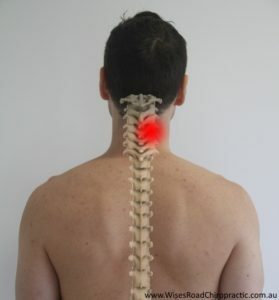 Neck pain can be felt in the middle of the neck or slightly off to one side. 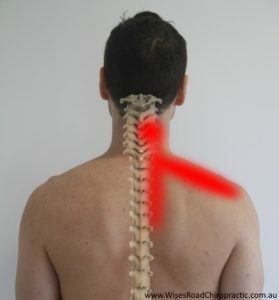 It may start and stay in the neck or go down into the middle of the back or out into the upper neck muscles. In some cases pain may travel down the arm and/or there may be tingling or numbness down the arm. It’s really common for patients with neck dysfunction when they initially come to see us to report chronic tension in the neck/shoulder region. These people typically get frequent massages that only provide short term relief. Our modern life is now dominated by texting, internet surfing, long commutes and hours behind a desk. With these unnatural and sustained postures we put a tremendous amount of stress and tension on the muscles and joints of the neck. When certain muscles are overloaded and exhausted and/or joints in the neck are not moving properly any of the above mention symptoms can easily arise. Ultimately, we would love the opportunity to help you find the neck pain relief you deserve. When you come in for your first appointment, you will have a consultation and exam with Dr. Leevi (Chiropractor) that is specifically designed to uncover the cause of your neck pain. If we can help, we will recommend the most conservative and effective care for your unique situation. So contact us today schedule your first visit. You will be glad you did.